Let's kick off with more CD history. Elektra's 1983 disc demonstrates the no pop, hiss or crackle advantage of CD sound by way of birds twittering in an otherwise silent landscape. After this it's whooshes, harpsichords, spoken word weirdness, racquetball games and ambient synth all the way. A fun listen in many ways. Copies can still be picked up cheaply. 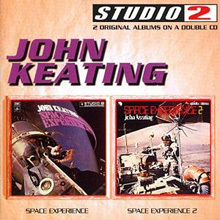 Space Experience LPs Vol.1 and 2 are available everywhere separately for a few pounds each. This 1998 double CD containing both of these great, spaced-out orchestral /electronica LPs is not. Both LPs became desirable during the EZ boom of the mid 90s and are thoroughly enjoyable to listen to especially when they have no pops, clicks or static in the quieter sections. This is possibly the reason why this CD is damn hard to find and expensive. Deja vu from our introductory article? This double CD includes Belgium's Eurovision entries chosen by the Flemish TV station BRT . 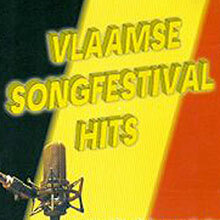 The second CD is Flemish songs from the Belgian National Finals. It's highly unlikely you'll find something like this in a UK charity shop but European flea markets may throw up a few surprises. File: Eurovision collectors are out there. 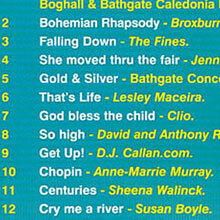 1000 copies of Music For A Millennium Celebration were made by Whitburn Community Council in conjunction with a West Lothian newspaper to celebrate the year 2000. Boyle's first appearance on CD, it's not known how many still exist but they always attract bids with two noughts on the end when they do sporadically appear. 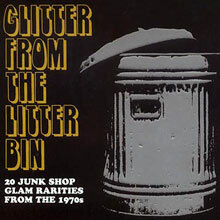 It's a safe bet West Lothian charity shops have been rinsed but did any ever leave the county? Some artists thrive for decades supported by a devoted fanbase. Marc Almond's Scott Walker / Edith Piaf- outsider appeal connected with many disillusioned 80s teens who embraced Soft Cell and then followed him. Antony (& The Johnsons) cites Torment and Toreros as the reason he decided to be a singer. 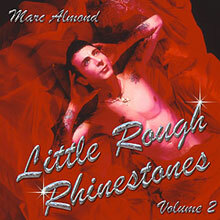 Little Rough Rhinestones Vol. 2 is a very desirable fanclub only release. OK focus. The image is correct but you want the one with a red and blue London logo in the top right hand corner and David Bowie written in white. If you chance on those specifications you will have found the first ever Bowie CD worldwide release which came out in 1983. 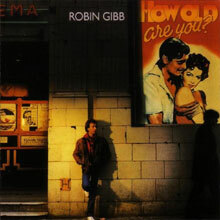 A few years later it was reissued with the title in blue similar to the one shown here. This is an interesting £40 / £50 period piece in more ways than one. It's a compilation of 70s glam bands who stomped, clapped and slapped on make-up without hitting the big time pieced together in 2003 by record collectors who twigged this genre hadn't been compiled before. Like the 00s folk bubble compilations this documents both a historic musical genre and a historic phase in record collecting. 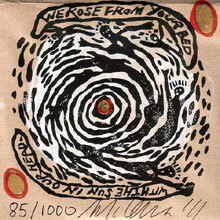 1000 of the 2011 double live CD entitled We Rose From Your Bed were sold and all were signed and hand-numbered by front man Michael Gira to raise money for recording the critically acclaimed twelfth album The Seer. This was re-released in 2012 but without the bonus tracks so remains very desirable to Swans fans who also bid high in high numbers for promos. Swans - related releases always attract a lot of bidders. 21st century dawned. Private Press records = frenzy. The Waxidermy music forum captured the zeitgeist. In the 21st century spirit of sharity micro-labels reissued private press records on CD. 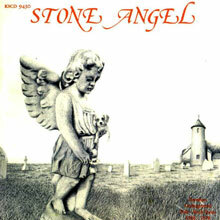 This 1975 lo-fi / folk-rock / medieval affair garnered a small cult following which grew after reissue. It's unlikely to be financially viable to press more. Copies go fast between £70 / £100. Hair Metal bands = the 90s successors to 70s Glitter / Glam. It's unlikely you'll find a cache of US Hair Metal in the UK but you never know. It's 80s/90s popularity in the States coincided with the rise of the CD format. CDs from bands like Surrender and Escape fetch £200+ and many more fetch between £50 and £150 depending on whether it's a good or bad hair day. File: With mullet, hair dryer and leathers. The top / bottom edges of most plastic CD cases in your collection will be ridged (right). In the early 80s all the edges were smooth, clear or frosted. Ridges appeared in the late 80s. A CD by an 80s artist with a smooth edge could be original and contain a Target CD or Red Face Polydor. Earlier CD cases were slightly heavier too. Tip: Look for non-ridged, heavier cases. 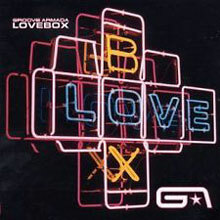 You can pick this 2002 CD up for a few quid all day but if it has a grey Hybrid Multichannel SACD sticker on the bottom left hand corner of the case expect to pay £90 more. Introduced in 1999 Super Audio CD was adjudged 'fail' by 2007 after blindfold lab tests with audiophiles revealed no sound difference to normal CDs. File: Audiophiles are slightly odd. 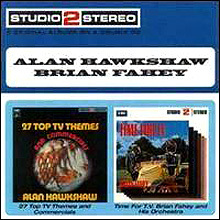 Nostalgia for old TV themes never dies Here are two of the best TV theme Studio 2 Stereo LPs on one CD. The original LPs are not cheap so this CD is now on the rise. It's still possible to buy one for around £20 but and the price will rise when copies dry up. Any Studio2Stereo double LP CD releases are well worth picking up in charity shops if you ever see them. A Quick Primer: Gold Classic Records CDs. London Audiophile Mastered. Gold sticker on front. Manufactured mid-90s, long OOP and rare. 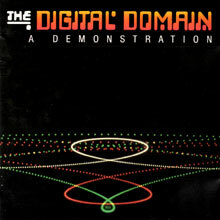 The ultimate in digital sound? Best sealed. Better still: an early Stereo recording (mid-50s). 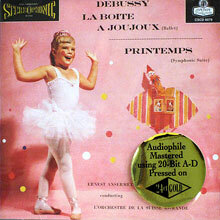 This Ansermet Audiophile 24 kt Gold Classic Records CD of Debussy - La Boite is just one example. Forumusic has a classical CD expert writing an article for 2014. Stay tuned. An army of Pet Shop Boy completists will be triggered by the word promo. Recent promo Thursday feat. 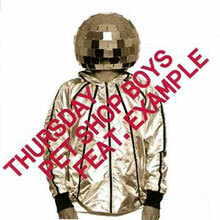 Example is the latest ...erm...example. 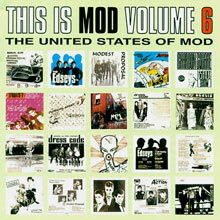 This series focussing on Mod Rarities was released by Anagram between 1995 and 1997. Any are worth picking up if you see them in the wild. Volumes 5 & 6 are the hardest to find and most valuable. Paradoxically they the least interesting musically as the standard of rarity contained on them is questionable but as a series drags on pressing runs often get smaller. The original 1990 A&M CD release of Multikulti can be picked up for a few pounds from a few internet retailers but some optimistically stick a very high price on it. 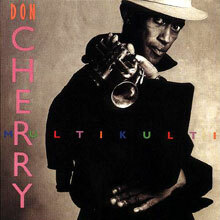 On this late career CD-only release Cherry moves between a multitude of styles within each song. 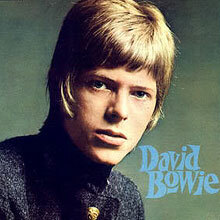 Fans consider this to be his warmest, most soulful and most accessible work. It's not accessible on vinyl anywhere though. Interest in this blossomed in the late 80s and early 90s. 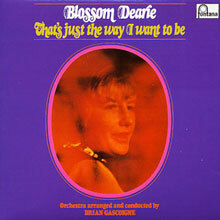 That's Just The Way I Want To Be appealed to the new young jazz crowd; to samplers for the funky I Love London In The Rain break and to the EZ listening crowd for Long Daddy Green. The LP still sells for between £50 and £80 and now this limited 2003 reissue from Japan is catching up fast. 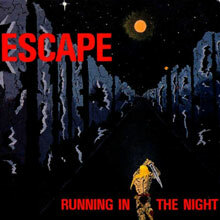 Eugene Chadbourne of Allmusic says: this is the recording by this trio to grab if a choice of only one has to be made. After nearly three decades on the road, it is the group's best yet. We say: We'd pick up this modern jazz trio's CD for the cover anyway! Then we'd discover it sells for around £100 on Ebay. 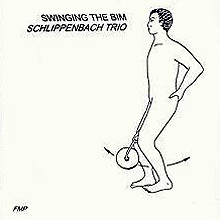 The swinging Bim in question is shorthand for Amsterdam's Bimhaus where the live recording took place. 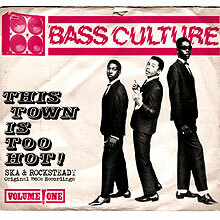 Reviewers were unanimous this 4 x CD compilation of rarities and b-sides from 2012 was one of the best ska and rocksteady releases ever. Reviewers were practically the only humans who ever managed to get a copy as licensing issues meant it was never released. Some copies of Vol. 3 & 4 leaked to shops but Vol. 1 & 2 were only ever promo'd. - sound great as they were mastered by direct transfer. - were discontinued after 1984. CD collectors care about original cases. Shane Quentin from the Very Good Plus forum sold a Now 4 CD for a tidy sum and added a new plastic case. The buyer informed him he would have bid even higher if it had been in the original case. This Ebay Q & A snippet is from a completed £90 sale of a 1983 West Germany Polydor Red Face CD. Tip: Leave CD in its original case with original stickers intact, regardless of how tatty they may appear.